It's Thursday again and time for another update about baby #2. 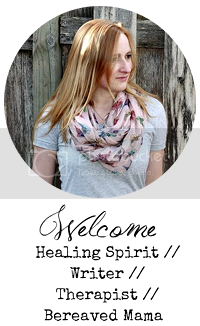 To read more about my rainbow pregnancy check out my Knocked Up Blogger post at Pregnancy and Newborn Magazine by clicking here. I would love to hear your thoughts on the Doppler debate? Flub, flub, flub. 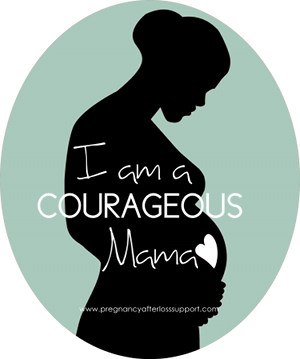 Hearing the heartbeat calms my nerves for a few seconds, as the nurse lets the Doppler linger a little longer than what I believe is normal on my small but swollen belly. At 17 weeks I’m at a scary stage where the morning sickness has subsided but I can’t really tell if I’ve felt the baby move yet. I mean I feel flutters, but they could be gas or stomach gurgles for all I know. I’m still nervous about getting my hopes up that it might actually be a baby moving inside me. So hearing flub, flub, flub, provides me with a few minutes of relief from the fear of not knowing. It’s not always this smooth. The seconds or minutes in the space between putting the blue goo on my belly and the nurse or doctor being able to decipher between my heartbeat, and finding the babies is still terrifying. Each time I catch myself holding my breath until the 160 beat per minute flub, flub, flub, musical sound echoes of the silent exam room walls. My doctor reassures me I can come in and hear the heartbeat at any time and I remember when I took her up on this offer earlier in my pregnancy. I went in at 12 weeks to hear the baby’s heart beat and was only re-traumatized as the nurse could not find it and fumbled around awkwardly as I started having flashbacks to 9 months ago when this similar situation broke my heart. The nurse finally had to call a doctor in to do an ultrasound. Twenty minutes later, I was reassured that baby was fine by seeing the little bean bouncing around on the black and white screen, but the minutes leading up to that moment where torture. A friend recently asked me at dinner if I would get an at home Doppler during this pregnancy. In the recent days after my loss I would have said YES!!! I thought my anxiety would be calmed by having a home Doppler—after hearing those awful words in the delivery room that no mother wants to hear, “No heartbeat”—but even after reassuring appointments, and some somewhat terrifying ones, I’m unsure of my answer. It seems as if I am finding excuses to run to the doctor for an appointment to hear the baby’s heart beat if more than a week has gone by since my last visit. One would think that I would want an at home Doppler, but I fear that it would become more of an obsession. Also, I think about if I couldn’t find the heartbeat out of operator error like the nurse at my 12-week appointment. If this happened I believe it would just be adding extra anxiety and trauma to my life. After talking with other expecting moms after a loss, I see that there is a debate about having an at home Doppler. 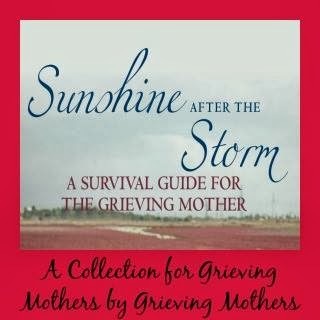 Some moms who have experienced a loss find it reassuring and say, “Totally worth it! It calmed my nerves. Whenever I was anxious I used it.” While others have had unnecessarily unnerving experiences and panic when everything was actually okay, but the Doppler could not pick up the heartbeat for whatever reason. I’m not so sure I’m ready to take that chance. For now, I think I will just take my doctor up on the office visits to use the Doppler and hear the baby’s heartbeat in the clinic. But, my choice isn’t for everyone and who knows, maybe I will change my mind further down the road. 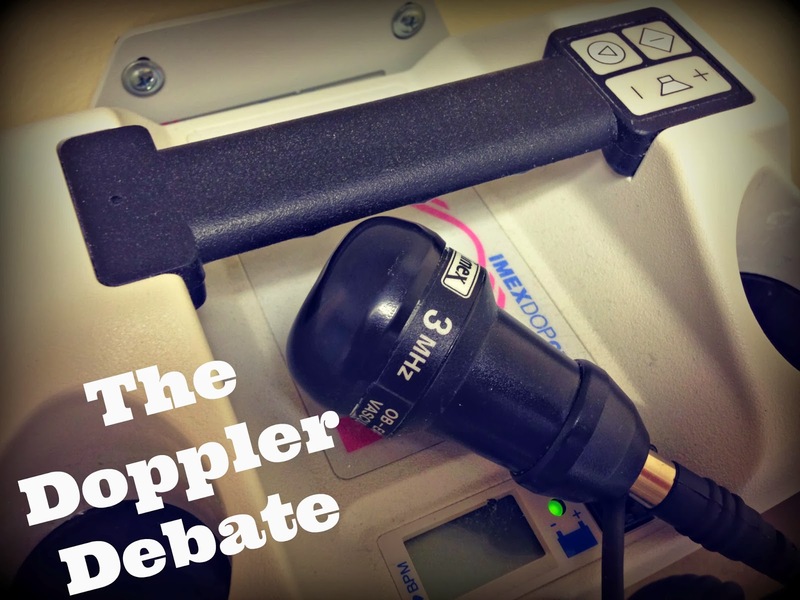 In the meantime, what’s your take on the Doppler debate? In the days before losing my son I had begun to experience decreased movement and flu like symptoms. I did not initially seek care partly in fact that I wasn't concerned over what I assumed to be a simple bug and also due to an ER visit 2 weeks earlier after a physical trauma where I was simply dismissed, they did not check for a heartbeat and sent me home. Why would they do anything now for a headache, nausea, and all the uncomfortableness that typically arises in pregnancy and flu bugs? As a nurse I had purchased an at home doppler early on in the pregnancy just for fun, but stopped using it once I began to feel movement. If it wasn't for my doppler, I most likely wouldn't have accepted something was truly wrong until my prenatal appt. the following week. When I noticed the total lack of movement my doppler (which I hadn't used in weeks) also showed no heartbeat, which prompted me to seek care and confirm that his heart was no longer beating. In my opinion, I will use my doppler in a future pregnancy. I think intermittent use is fine, but am not a strong advocate of checking multiple times a day. However if you were to notice lack of movement it could alert a mom to seek care and potentially save a child's life. It also can be a huge source of anxiety if you cannot find a heartbeat in the case of someone who maybe isn't quite sure how to use one. It all depends on the person and situation! But me, I will use my doppler next time intermittently as well as now knowing how important it is to monitor movements. My husband and I found out that our first son, Alfy, was gone at our 28 week appointment because his heartbeat couldn't be found by the doppler. Two weeks prior to that, I had borrowed one from a friend and had found his heartbeat because I wasn't sure that he was moving around like he should. The scenario led to a lot of "what ifs" in the following months. We lost him in April of 2012. My husband and I just had our second son, Vinny, in September, who were blessed to bring home. Someone had asked me if I would get an at home doppler. For me, it was a resounding no. I would much prefer that my doctor was listening to the heartbeat. It was also such an anxiety ridden moment when the doppler came out that I knew I couldn't have one in my house. I set up my appointments between my OB and high risk specialist so that I was at the doctor every two weeks and I still found reasons to go in during the off weeks. I think it's different for everyone and really depend on your own personal experiences. I just recently started following your blog and articles. I have to say, I felt very similar things during my second pregnancy. Thank you for sharing it with the world.